The SWNZ Star Wars Canon Timeline is a resource that organises links to SWNZ content in a chronological sequence, based around the canon movies, television series, and novels. We’ve just updated it to include recent releases and upcoming releases expected this year (more updates will be imminent, with new information about Episode 9 and The Mandalorian expected this weekend). 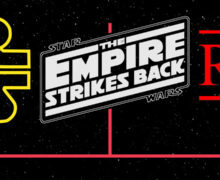 Check the SWNZ Star Wars Canon Timeline out here.